The dental mercury documentary You Put What in My Mouth? is, as they say, in the can and will make its public debut at the Garden State Film Festival in Atlantic City, New Jersey on Sunday, March 22. Tickets are available now. The generous support of people concerned about dental mercury has made it possible to finalize the production of our long awaited documentary about the hazards of dental mercury. I've also been able to secure funding for an official film rating with the Motion Picture Association of America (MPAA), online distribution fees, and enough funds to attend and promote the movie at five film festivals across the country. My goal has been to create a credible, professional film, convincing and easily understood by the general public. I believe that our film now paints an unquestionably definitive picture of the health and environmental hazards of dental mercury. The next goal is to get this message out as far and wide as possible. To make this happen, an exciting new opportunity has come into play. A qualification package will enable the film to have a week long theater run in New York and Los Angeles. Included is a built-in publicist to secure reviews and advertisements in the NY Times, LA Times and other newspapers. I believe that this initiative will give the dental mercury issue vast exposure, informing consumers and professionals alike about this subject matter. We feel confident that securing reviews of the film in the most prestigious newspapers in the country, and theatrical runs in two major cities could put the dental mercury issue on the map and spark a nationwide discussion of this issue. I hope that you will join your colleagues and others who care deeply about the harm of mercury dental fillings in contributing to MAKE THIS A REALITY! Please make your generous contribution to our theatrical release campaign so that we may achieve this goal. 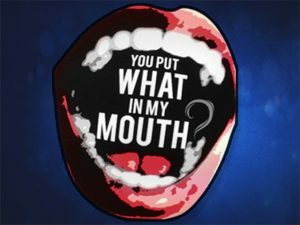 dental amgalm, documentary film, fundraising, mercury, You Put What in My Mouth?